The purpose of the Education Program is to teach all federal offenders within the Eastern District of Missouri, who have not finished high school or its equivalent, to read and write English and acquire basic skills necessary to function in society and to become more employable, productive and responsible citizens as well as allowing them to continue their education to at least the completion of secondary school. If you have not completed high school or its equivalent please ask your officer about the Education Program. Any offender in the Eastern District of Missouri who has less than a high school diploma or its equivalent and any offender who is a speaker of English as a second language; and, who is not enrolled in school; and, who have been examined for Community Third Party Risk regarding the educational setting to which they will be referred, which may include community centers, college campuses, education centers, or elementary, middle, and high schools; and, who do not have documented emotional, mental, or physical impediments to learning beyond those required to complete an Adult Education or Literacy Program. Assessment Tests Offenders will come to class with many backgrounds and levels of experience. In order for instructors to know where they need to begin, a series of assessment tests are given at the beginning of class. The U.S. Probation Office for the Eastern District of Missouri has formed verbal agreements of understanding with various Directors of Adult Education programs throughout the district. A referral and an attendance record reporting process has been established with each individual Director. The Missouri State Plan for Implementing Title II of the Workforce Investment Act of 1998 establishes a program of Adult Education and Literacy (AEL). The Education Program for the probation office will consist of placing eligible offenders at AEL sites that will be proximate to the offender’s residence and will comport with the offender’s work schedule. Tests of the General Educational Development (GED) were established in 1942 to help returning World War II veterans finish their studies and earn a high school credential. Recognized throughout North America by employers and institutions of higher learning, the GED program served as a bridge to education and employment opportunities for millions of adults since 1942. 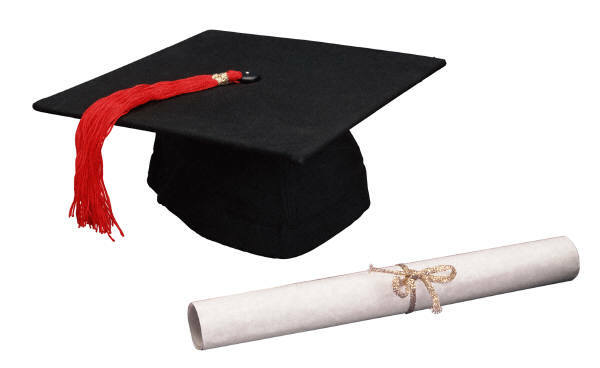 An estimated 12.6 million people have earned high school equivalency diplomas since the program began. Today, GED tests measure the academic skills and knowledge students are expected to acquire during four years of high school. The GED test battery consists of five tests: writing skills, social studies, science, interpreting literature and the arts, and mathematics. What are the Score Requirements? A minimum standard score of 2250, which is an average of 450 on the five tests, with no score below 410, is necessary to qualify for the certificate. Scores are valid for two years from test date. Language Arts, Reading: Literary Texts (poetry; drama: prose fiction before 1920, between 1920-1960, and after 1960) (75%); Nonfiction Prose (25%). Language Arts, Writing Part I: Organization (15%); Sentence Structure (30%); Usage (30%); Mechanics (25%); Part II: Essay (45-minute direct writing exercise). Mathematics: Number Operations and Number Sense (25%); Measurement and Geometry (25%); Data Analysis, Statistics, and Probability (25%); Algebra, Functions, and Patterns (25%). Science: Life Science (45%); Earth and Space Science (20%); Physical Science (Chemistry and Physics) (35%). Social Studies: National History (25%); World History (15%); Economics (20%); Civics and Government (25%); Geography (15%). Disclaimer! You will be leaving our site if you select any external links. The hypertext links or pointers contain information created and maintained by other public and private organizations. These links and pointers are provided for the user's convenience. Our Court does not control or guarantee the accuracy, relevance, timeliness, or completeness of this outside information. Further, the inclusion of links or pointers to particular items in hypertext is not intended to endorse any views expressed, or products or services offered, on these outside sites, or the organizations sponsoring the sites. The assessment tests will help the offender and the instructor create an individual study plan. The Test for Adult Basic Education (TABE) is a diagnostic test given in four parts and covers 3 of the basic skill areas on the GED. Once those are complete, the instructor scores them and makes assignments for the offender based on test results. GED is offered every Tuesday and Thursday from 9:00 a.m. to 11:00 a.m. at our Thomas Eagleton office location. Contact Quincy Fountain for more information, 314-244-6746. One out of every seven people who receive high school diplomas each year earns that diploma by passing the GED tests. Ninety percent of colleges and universities recognize the GED. Passing the GED tests puts a person in the upper 25th percentile in terms of class rank, and lets colleges know the person has the skills and knowledge equivalent to applicants from traditional high schools. More than 95 percent of employers nationwide employ GED graduates on the same basis as high school graduates in terms of hiring, salary, and opportunity for advancement. Sixty-five percent of GED test-takers plan to enter college, a university, trade or technical school, or business school during the next year. The average age of persons taking the GED tests is 24.7 years old.